Download and print a free craft below! They can be adjusted to print on US Letter size paper (8.5 x 11) OR A4 paper (8.3 x 11.7 inches). Standard copy paper (80gsm) works well, though 160gsm works best. Colours may vary slightly from printer to printer. Print at home or put on a USB stick and get them printed at your local print store. To craft your character you will need clear tape or glue. Scissors and a flat surface to fold on are also handy. Click here to download some basic instructions. Click the logo above to check out Geelong Illustrators. 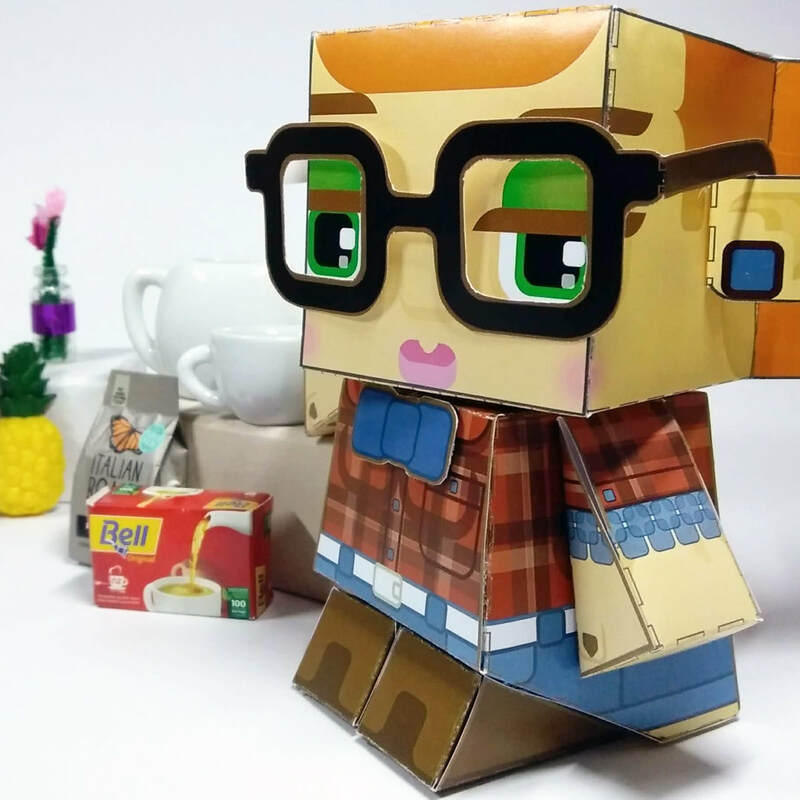 Click the hipster dudette above to download your free paper toy. 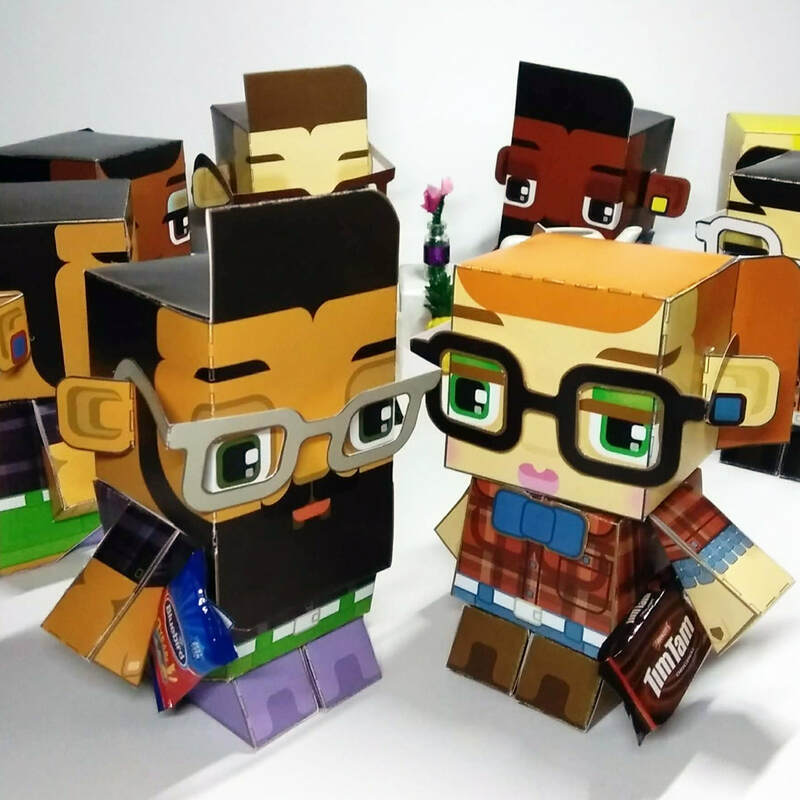 Click the hipster dude above to download your free paper toy. I am a member of Geelong Illustrators - a collective of artists from Geelong and the surrounding areas in Victoria, Australia. The collective is designed to be a platform for illustrative artists to collaborate and inspire through group exhibitions, meets and mutual support. Check us out in "real life" at our Studio Gallery at 105 Moorabool Street, Geelong. 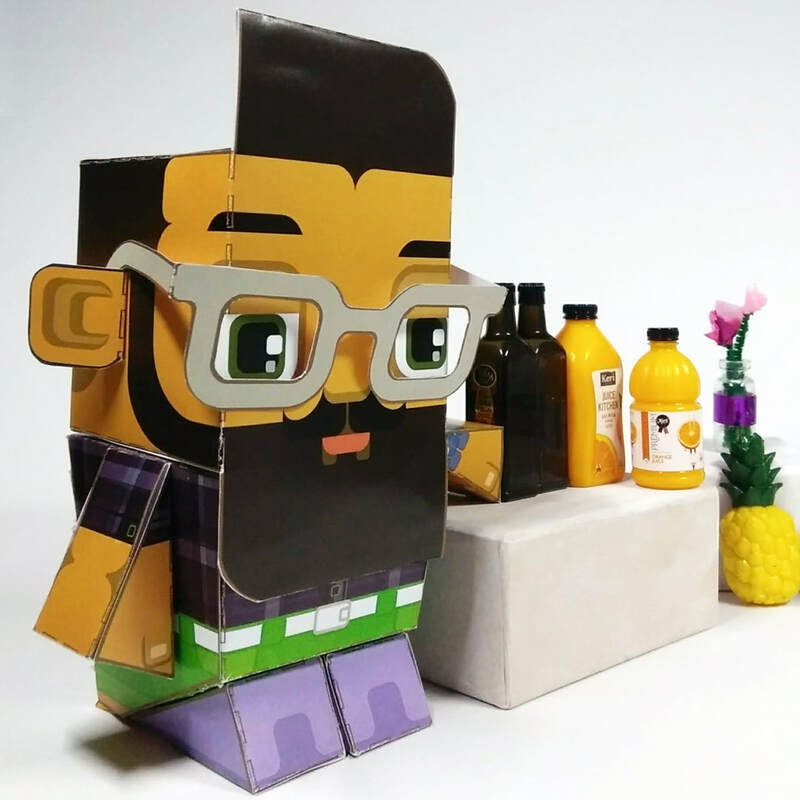 ​I teamed up with PaperCrafter magazine to create a customised paper toy puppy. Click the logo above to download, print, cut, fold, stick and play with your own papery pooch! KidStyleFile featured my paper crafts and I customised a kitty cat paper activity. Click the logo above to download, print, cut, fold, stick and play with your own crafty cat!